FEA-Solutions (UK) Ltd is your specialist partner for engineering analysis. As such, the most tangible deliverable for our customers are the reports that we produce. These reports provide comprehensive results and detailed recommendations on possible design improvements. We are using animations, still pictures and graphs to illustrate the generated data in a way that is easy to understand even for readers without a technical background. 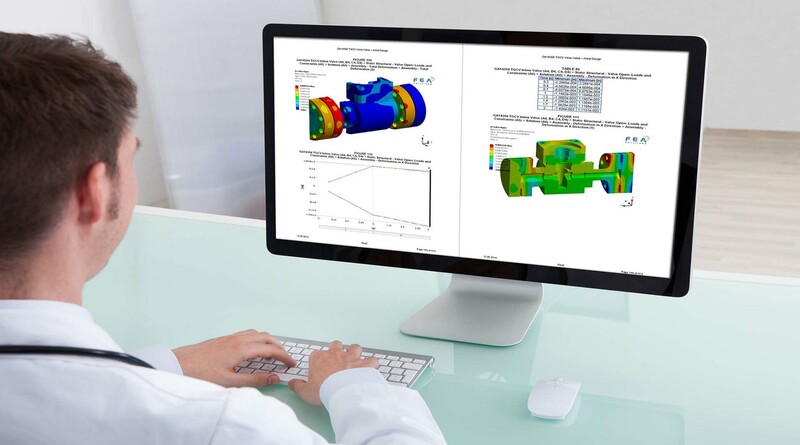 More than that, our report for you specify how the FEA model was set up, so that a suitably qualified engineer can understand all the modelling techniques used. That means for you that you will have the full picture of the behaviour of your design, with all critical areas specifically highlighted, but at the same time a documentation that is solid enough to even be submitted to certification authorities. Please call us today on 01202 318128.